When a new business is started a business license is required to conduct daily operations. The license may be required at the local level or at the state level. The type of license required depends on the regulations of the local and state government. Regardless, the first order of business is to register the name with the county or state be it a DBA for a sole proprietorship or a corporation. In addition if the business is not a sole proprietorship run under the business owners social security number then a tax identification or employer identification number must be obtained from the IRS. Once the name is legally registered and the TIN/EIN is received, a license can be obtained. To begin, make sure all the necessary paperwork is in order such as a fictitious name filing and the TIN/EIN. Other documents may be required depending on the type of business. For example, for an LLC Articles of Organization or an Operating Agreement might be required. It is best to check with your local government for what is needed before applying for the license. The next step is to fill out all applicable paperwork. Return the paperwork to city hall with the appropriate fee. If possible, pay the fee with a business check so there is a record of the payment for tax purposes. If the business checking account has not be opened be sure to get a receipt of payment for business records. Once the license has been received check with the local government regarding business regulations. One of the requirements to obtaining and keeping the business license might be yearly renewal and a renewal fee. If this is not done annually the business license could be revoked. If the business is under state regulation a state business license will be required. For example, some businesses needing state licenses include a realtor, hairdresser, doctor, auto mechanic or a lawyer. Usually a required training course is a necessity to get this business license. To get a state license fill out and file the appropriate paperwork and pay the state filing fee with a business check if possible. Make sure the business renews its license annually and completes in additional training courses required by the state. While business licenses might be optional in some state, a sales tax license is always required. This license allows the business owner to charge sales tax to its customers. The local State Franchise Board will let the business owner know what is required. 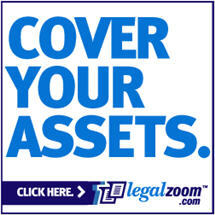 Obtain a Business License or Fictitious Business Name Statement – DBA at LegalZoom!